IOUs make great gifts for moms. 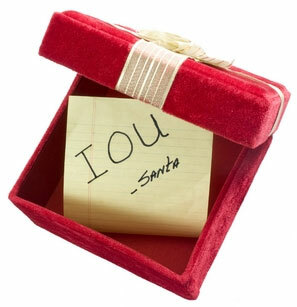 Essentially what an IOU does is allows a gifter the opportunity to put their gift on ice. Rather than having to fork over the cash to buy a gift, a gifter can give an IOU for a treat at a later time. Well lucky for last-minute or financially strapped gifters, moms love IOUs, at least I do. Plus, IOUs give the gifter a plethora of thoughtful choices that can have a huge positive impact on a mamas everyday life. Considering the hustle and bustle of the holiday season, its nice to take some down-time after the New Year by cashing in an IOU. Now these delayed gifts are non-refundable on the part of the giver; so give wisely. There’s nothing better than a babysitter on a Sunday. After Saturday’s crazy schedule, mama can clean the house and get dinner prepared while sipping some wine and jamming to her favorite tunes. And, if it’s a sunny day she might even be able to score a little sun bath or just read a book on the back porch all while her IOU does the work of providing safe, off-site entertainment for the children. If you can swing it, this is by-far the best IOU. I know we are all still in winter mode. But, all this junk you are building up under your tree and in the coat closet will have to be neatly packed away in just a few weeks. So, let’s get this party started now. Volunteer to help mama with post-holiday clean-up. Show up after the New Year to neatly pack away all her Christmas decorations, put away the tree and do something with all of those leftovers that no one is eating. That’s one less thing she’s got to worry about before heading back to normal life after the holiday season is over. This one is super easy for the gifter and lifts a heavy load off of mom. Just find out what takeout restaurants deliver to moms house, dial the number, place the order and Viola! You’ve just added two hours to one lucky mom’s day! This is why I love IOUs, it’s the gift that understands that life goes on after Christmas. Unlike a Christmas sweater she might have to return, a takeout IOU takes all the heavy lifting off of mom and temporarily hands it to the gifter. Allow your mama friend to choose her own date and you grab up the kids from school so that she can get some extra work done, take a power nap or just lounge for an extra hour before the kids get home. Christmas break has wreaked havoc on her mind and household. The kids have been home for two whole weeks and it’s been awhile since mom has had anytime to herself. I love these IOUs! So please feel free to get me one by emailing pghbrownmamas@gmail.com. LOL!